Privateer Holdings is a private equity firm shaping the future of the legal cannabis industry. Founded in 2010 in Seattle by three visionary entrepreneurs with decades of experience in investment banking and venture capital, we represent a group of investors from around the world seeking to end cannabis prohibition and the social harms it causes. Through a combination of acquisitions, investments and incubation, we are focused on building a portfolio of global brands that will lead, legitimize and define the future of cannabis. 3. Brands will determine the future of the cannabis industry. We are set apart by the depth of hands-on management and investment experience of our team, which includes Ivy League MBAs, PhD research scientists, marketing professionals and operators from world-leading brands, and even former federal law enforcement professionals. 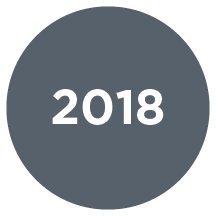 In an industry stigmatized by negative perceptions and substandard business practices, we are elevating consumer expectations through consistent quality and service. When prohibition ends, we intend to hold the most enviable position in the market and to generate enormous returns – both financial and social. Tilray launches High Park Company, a wholly-owned subsidiary to capture Canada’s adult-use cannabis market. Based in Toronto and led by a team with deep experience in cannabis and global consumer brands, High Park has secured the exclusive rights to produce and distribute a broad-based portfolio of adult-use cannabis brands and products in Canada. The company also announced that it is making an investment of up to $10 million in a new facility located in London, Ontario to process and distribute finished cannabis products. Tilray announces that it has entered into an agreement to become a preferred medical cannabis supplier to Pharmasave, the premier independent pharmacy banner in Canada. Tilray becomes the world’s first federally licensed medical cannabis producer to form a strategic alliance with a local affiliate of a global pharmaceutical company with a binding letter of intent (LOI) to be the exclusive collaborator of Sandoz Canada, part of the Novartis Group. Tilray announces agreements with Société des alcools du Québec (SAQ) and National Access Cannabis (NAC) to supply the adult-use cannabis market in Quebec and Manitoba. Africa becomes the fifth continent where Tilray products are available. Tilray announces the completion of a C$60 million Series A funding round led by global institutional investors. The round marks the first time that outside investors have invested directly into a Privateer Holdings portfolio company. With its Series A funding and incorporation, Tilray is positioned to operate and finance its growth independent of Privateer Holdings. Tilray announces that it has entered into an agreement to become a medical cannabis supplier to Shoppers Drug Mart, one of Canada’s largest pharmacy chains. Privateer Holdings closes its Series C funding round. The more than $100 million in new funding brings the firm’s fundraising total to $200 million, the largest private capital raise closed in the legal cannabis industry to date. In addition to announcing the close of the round, Privateer Holdings founders Brendan Kennedy, Michael Blue and Christian Groh pledge to donate shares of their personal holdings in the firm to support communities that have been harmed by cannabis prohibition worldwide. 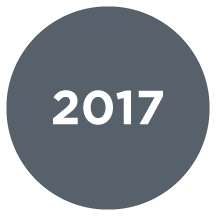 Currently equivalent to $5 million, the value of the equity pledged will grow over time with the value of the firm. The Czech Republic becomes the fourth EU country with Tilray products available to patients. The Goodship, one of Washington state’s leading edibles brands, joins the Privateer Holdings portfolio. Together, The Goodship and Privateer Holdings plan to develop new products and expand the brand’s availability to consumers in new markets across North America. 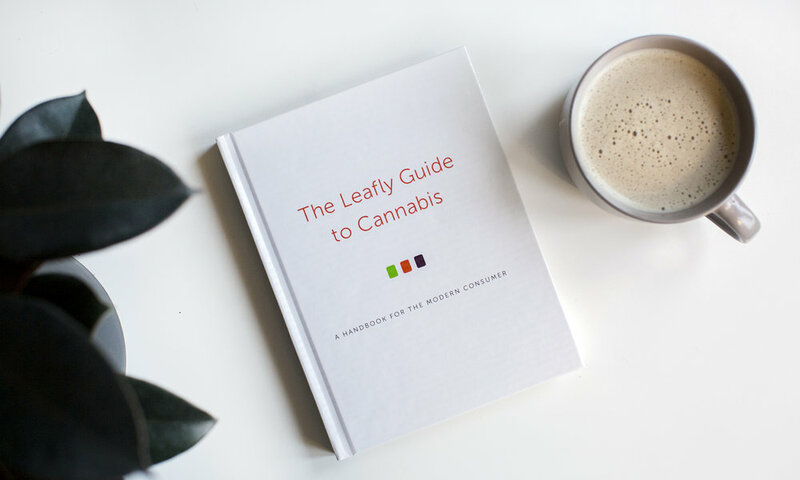 Find The Leafly Guide to Cannabis online or at a bookseller near you. Tilray successfully exports live medical cannabis genetics from its flagship British Columbia, Canada facility to its European Union Campus in Cantanhede, Portugal. The announcement is the first time a company has legally exported live cannabis genetics from North America to Europe and marks another strategic milestone as Tilray develops its EU Campus into the region’s leading medical cannabis research and production facility. Tilray becomes the first Canadian licensed producer to legally import full-spectrum medical cannabis extract products into Germany for nationwide distribution through pharmacies. To distribute its products nationwide, Tilray has partnered with pharmaceutical wholesaler NOWEDA and service provider Paesel + Lorei. With more than €6 billion in annual revenue, NOWEDA is one of the largest pharmaceutical wholesalers in Germany. Tilray receives a license to produce medical cannabis in the European Union, becoming the first licensed producer with federal cultivation licenses from two countries. The company will invest up to €20 million in a European Union Campus in Cantanhede, Portugal. Tilray becomes North America’s first GMP certified medical cannabis producer. Tilray announces its support for a clinical trial at The Hospital for Sick Children in Toronto (SickKids) to study medical cannabis extracts and treatment-resistant epilepsy in children. The trial, which uses preparations developed by Tilray, receives coverage from The Canadian Press. The Atlantic, Financial Times, and New York Magazine. The $40 million in new funding brings Privateer’s fundraising total to $122 million, marking the first time a cannabis company has raised more than $100 million. The news appears in Reuters, Fortune, and other major financial publications. Leafly hires a team of world-class journalists and debuts a redesigned editorial website to better showcase its world-class cannabis content. Leafly celebrates the global cannabis movement at the 20th anniversary of Hanfparade, Germany’s largest pro-cannabis event. Marley Natural partners with the Minority Cannabis Business Association to host Rise Up Expungement Day. Dozens of people with criminal records for non-violent cannabis-related offenses have the opportunity to file official expungement requests with the State of Oregon. USA TODAY covers the news. Inc. ranks Leafly #76 on its 35th annual Inc. 5000, the most prestigious ranking of the nation's fastest-growing private businesses. In June, Tilray made history when it became the first company to legally ship medical cannabis products from North America to the European Union. Tilray's liquid cannabis capsules are now being distributed in pharmacies across Croatia. Read more about this historic milestone in CBC News. Tilray partners with the University of Sydney, New South Wales Government, and Chris O'Brien Lifehouse (one of Australia's leading cancer hospitals) to conduct a first-of-its-kind clinical trial studying how cannabinoids can benefit patients with chemotherapy-induced nausea and vomiting (CINV). Marley Natural debuts premium cannabis products, a body care line, and smoking accessories. The Leafly Comedy Tour hosts its first show in Seattle. The yearlong tour becomes a smash-hit in 11 cities across North America: Los Angeles, Denver, Chicago, Toronto, San Francisco, Portland, Phoenix, Brooklyn, Boston, Austin, and Vancouver. Tilray debuts a broad-based line of medical cannabis extract products in Canada. Dr. Catherine Jacobson is responsible for creating and managing clinical research partnerships for Privateer Holdings. Privateer Holdings announces the largest funding round ever closed by a private equity firm in the cannabis industry - $75 million. Peter Thiel’s Founders Fund becomes the first institutional investor in the legal cannabis industry through an investment in Privateer Holdings’ Series B round. The news is announced on CBS This Morning and generates more than 2 billion impressions. Marley Natural – a partnership between Privateer Holdings and the family of Bob Marley – is unveiled as the world’s first global cannabis brand, on NBC’s Today Show. The news is heard around the world, resulting in more than 2 billion earned media impressions and more than 2,000 stories printed in 196 countries. Leafly becomes the first cannabis company to place a full-page print advertisement in The New York Times, congratulating the state of New York on passing the Compassionate Care Act and reminding consumers to #JustSayKnow.